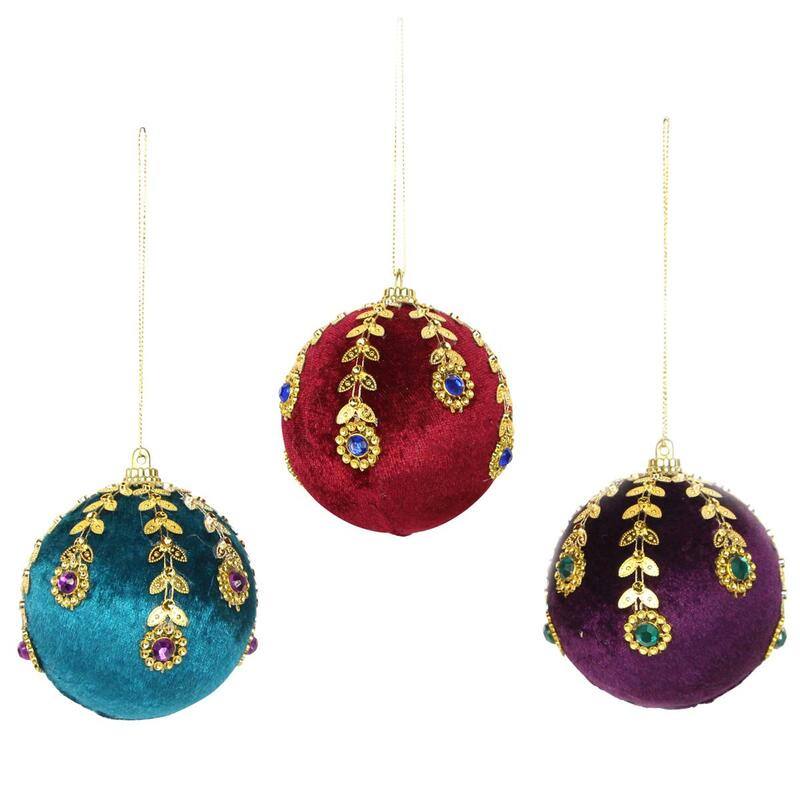 A set of 3 glam velvet jewelled baubles. 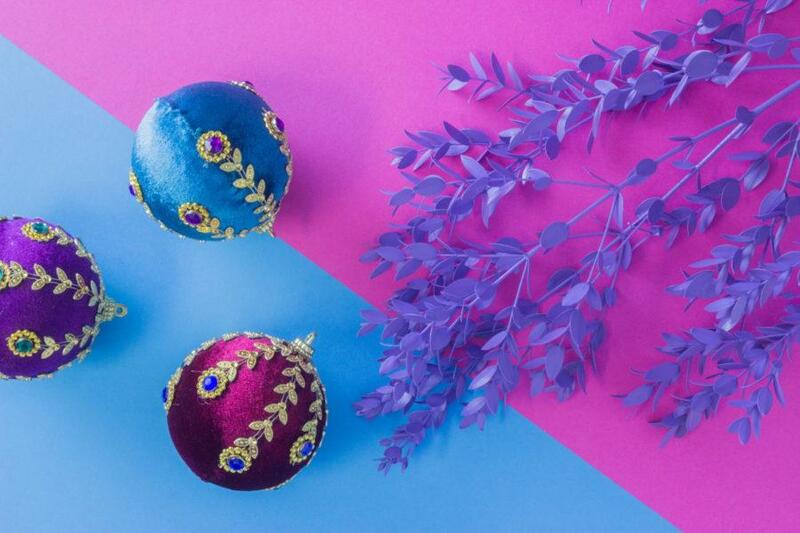 A glam Velvet Jewelled Bauble Set. Add a touch of bling to your christmas tree with this set of velvet festive bejewelled baubles.